This movie is creepy and disturbing, perfect for all horror fans who want to experience something new in a classic. Artfully told with imagery that is haunting and spooky, it is a terrifying tale of love and revenge that will haunt you for a long time. 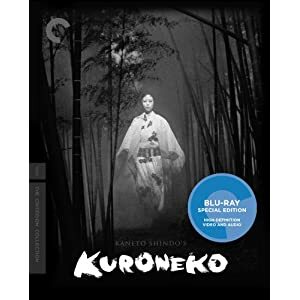 Kuroneko (aka Black Cat) is a black and white Japanese horror film with English subtitles. In the film, Samurais in feudal Japan era entered a house to find provisions and supplies. They discover women, too. The warriors sexually assault the women repeatedly, and then leave them to die as they set fire to the house. The dead women become evil spirits in order to kill all those who have abused them.